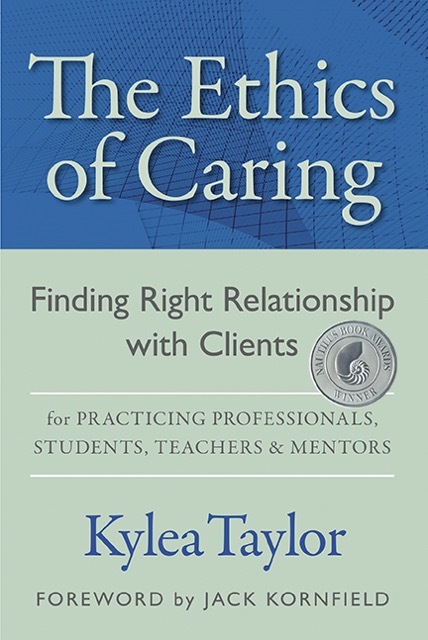 The Ethics of Caring – Kylea Taylor, M.S., M.F.T. This book is written for students and practicing professionals: therapists, educators, medical professionals, hypnotherapists, bodyworkers, hospice workers, clergy and other professional caregivers. Ethical issues pertain to longings, feelings, and motivations which resonate at our very core. Our drives toward (and away from) money, sexuality, power, love, truth, inspiration, and oneness are the most powerful forces in our lives. How can we expect that these drives will not arise in one way or another in our relationships with clients? When we engage in self-discovery to know better our own motivations, we reduce client harm and increase client benefit. The work with non-ordinary states of consciousness brings specific new challenges and problems that go beyond those encountered in traditional verbal and experiential approaches. Kylea Taylor’s book is a pioneering venture into these new territories, providing important guidelines for practitioners and students. ~ Sara Wright, Ph.D., Licensed Psychologist, Licensed Marriage and Family Therapist, Board Member, American Association for Marriage and Family Therapy (AAMFT), Past-President, Minnesota Association for Marriage and Family Therapy (MAMFT). This is the third edition of a book that was first published in 1995. 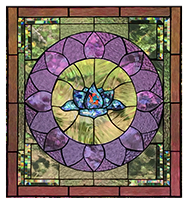 Over the years it has been included in training programsthroughout the world and become an essential tool in training practitioners of all healing professions. Much has happened in this field since then. This version has been updated and adjusted to meet the needs of practitioners today, but the focus is still to describe the right relationship between therapist and client. This includes ethical values as well as vulnerabilities. See more praise for The Ethics of Caring. La etica de los cuidados profesionales es un reciente libro para sanadores, clerigos, terpeutas y fisiotherapeutas, extraordinariamente util e innovador, que deja claro que es necesario ofrecer a los clientes vinculos sensatos y dignos de confianza. Ilustra en detalle y con ejemplos vias para comprender y profundizar en la bellexa de la propria integridad como profesional del la sanacion. Tradicionalmente, este estudio se llamo etica, pero dad el tono moralista y de pecado que a menudo adquirio la palabra, Kylea basa su trabajo en el principio espiritual de reverencia por la vida que subyace en todas las grandes religiones y sistemas de sanacion del mundo. El libro de Kylea Taylor es pionero en estos nuevos territorios, proporcionando pautas importantes para los profesionales y los estudiantes. ~Stanislav Grof, M.D., autor de Psiodologia del futuro, El ultimo viaje, Reinos del inconsciente humano, y La aventura del autodescubrimiento. La etica de los cuidados profesionales es un reciente libro extraordinariamente util e innovado para sanadores, sacerdotes, terapeutas y terapeutas corporales que arroja luz sobre lo que es necesario para proporcionar a los clients una relacion fiel y prudente….Brindo a Kylea mi gratitude y mis felicitaciones. Su trabajo puede aportar amparo, comprehension y bendiciones compasivas a todos los que guian y sanan. ~Jack Kornfield, Ph.D., autor de Camino con corazon y Despues del extasis, la colada. Are you teaching an ethics course for students or practitioners and would like to review a desk copy? Email info@hanfordmead.com for assistance. An online class for SoulCollage® Facilitators, “Right Relationship: The Ethics of Caring”, with Kylea Taylor and Selene Vega is available for purchase and download and qualifies California MFTs and MSWs to receive the required 6 Law and Ethics CEs. SoulCollage Inc. is the CE course (CAMFT provider #133654).